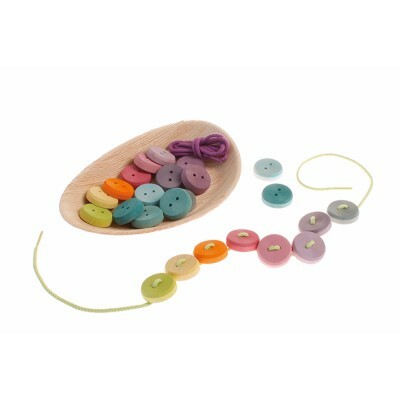 These buttons are ideal for threading bracelets and necklaces. Material: made of maple wood, non-toxic water based color stain. Quantidade: 24 pieces in pastel rainbow coloring + 2 cords.